ROAD TOWN - The British Virgin Islands independent regulator, the Financial Services Commission (FSC), has fined the local arm of the Panama Papers law firm, Mossack Fonseca, $440,000 for its contravention of numerous sections of the Anti-Money Laundering and Terrorist Financing Code of Practice and BVI Regulatory Code. Smith added, “Achieving this outcome in the face of intense international scrutiny is testament to the FSC’s conviction, dedication and willingness to conduct such a thorough investigation whilst holding to account those who fail to comply with the territory’s structure and regulations. Throughout this time, the FSC has co-operated fully with any requests from other international law enforcement agencies who are conducting their own independent investigations and it will continue to do so as this befits its position as regulator of a leading finance centre." Smith also noted that, in addition to the enforcement action taken against Mossack Fonseca, the FSC has also made adjustments to its risk assessment framework aimed at more consistently detecting potential concerns to reduce the risk of non-compliance whilst also devoting additional resources to assessing the full compliance of all BVI licensed corporate service providers. 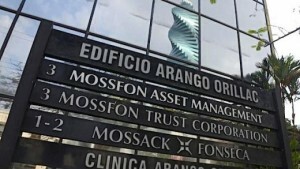 The announcement follows an in-depth investigation into Mossack Fonseca & Co (BVI) Ltd, following the publication of the Panama Papers in April 2016 that included a thorough six month on-site compliance inspection focused on reviewing specific aspects of the company’s anti-money laundering and risk management procedures; as well as the appointment of a qualified person approved by the FSC to advise on Mossack Fonseca’s business affairs and to provide recommendations on the corrective actions required to bring the licensee into full compliance.